The University of Tennessee's Research & Education Center at Milan was established in 1962 on land obtained from the Federal Government that was formerly part of the Milan Army Ammunition Plant (arsenal). The station is comprised of three locations, the South Tract on Tennessee Highway 104, the North Tract on US Highway 70A & 79 and the Arsenal Tract on the arsenal property. The three tracts combine for a total 675 acres of crop land used for an array of research purposes, much of which is focused on no-till crop production. 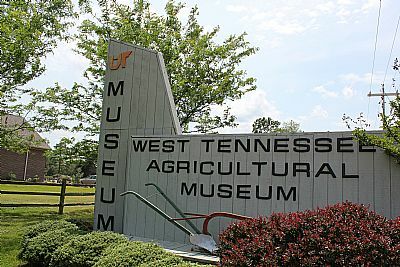 The West Tennnessee Agricultural Museum is located on the North Tract of the Center. Open year round, the museum has on display many of the early tools used to make agriculture what it is today. The North Tract is also the site of the Milan No-Till Field Day. Held every other year on the fourth Thursday of July, the Field Day showcases the latest in no-till technologies, attracting thousands of visitors from across the U.S. and around the world. A list of area lodging to aid visitors to the field day and throughout the year is available. Welcome to the AgResearch & Education Center at Milan! 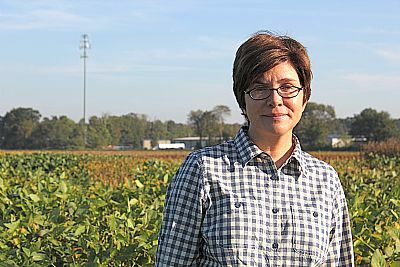 Here, University of Tennessee scientists find solutions for Mid-South farmers. Food & fiber demand is increasing, but farmland is decreasing. We help grow more with less. 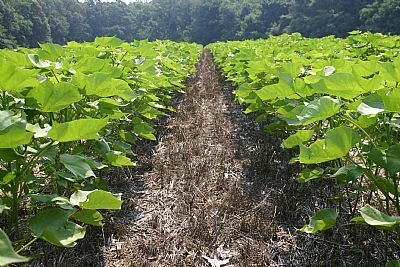 Tennessee No-Till Farming started here, reducing soil erosion and water and air pollution. The museum is open for business! Come see our renovated facility weekdays from 8 a.m. - 4 p.m.
Over 100 research projects with corn, cotton, soybeans, grain-sorghum, wheat, and cover crops are underway. These studies concern cropping systems rotations, tillage systems, row width, plant population, varietal evaluation, date of planting, fertilizer rates and sources, remote sensing, precision agriculture, and irrigation of row crops. Control of crop pests, including diseases, insects, and weeds are also studied. A new study evaluating the establishment and production of switchgrass for use as a bio-fuel has been initiated. Soil conservation studies underway investigate the rate of erosion of different cropping systems, soil productivity and run off studies. In the agricultural engineering field, the Research and Education Center at Milan has researched new planters and drills, fertilizer placement in no-till, directed sprayers and pesticide movement, as well as precision farming. 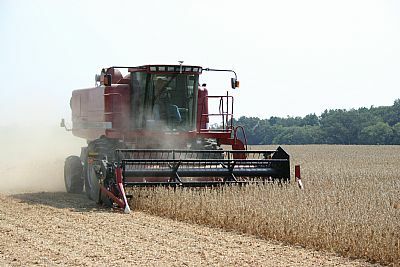 Together these studies aim to provide Tennessee farmers with data and techniques they can use to achieve more efficient farming operations utilizing methods suited to the region's unique agronomic conditions. 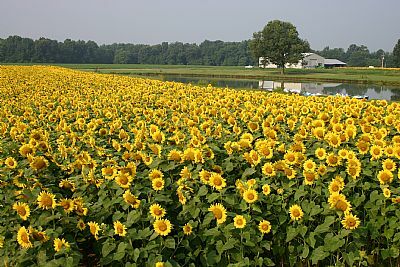 "Its one of our most lasting symbols of America - wind gently sweeping through a grain field. And soon it..."
"There was a time when sloped land was just about useless because of frequent soil erosion. But now, hilly..."